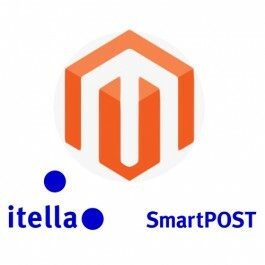 Itella SmartPOST parcel terminals are located in the most popular shopping centres all over Estonia. 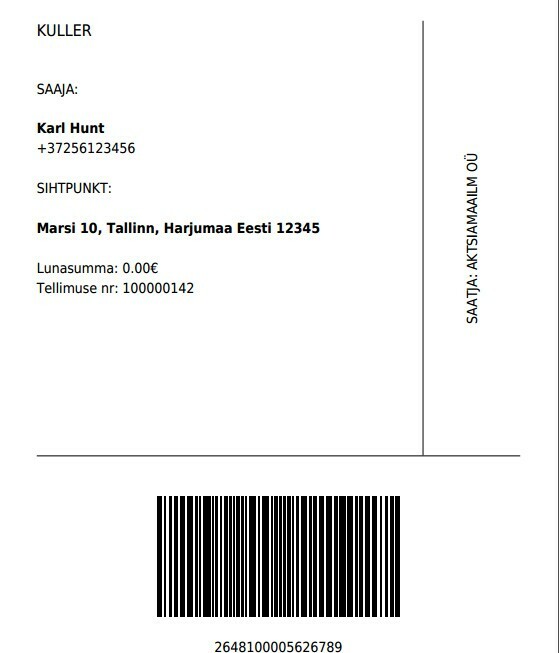 Customer receives the parcel on the same day from tuesday to friday from 50+ Estonian SmartPOST parcel terminals. Estimated delivery time is displayed after customer has selected preferred parcel terminal. There are over 1000 postoffice in Finland which means that customer can receive the parcel even when there is no SmartPOST terminal nearby. 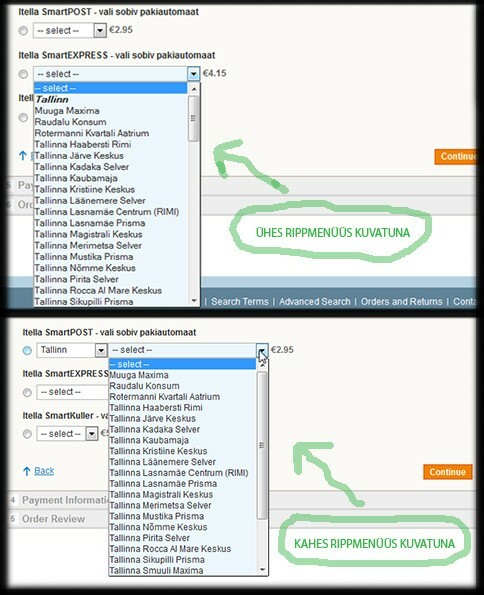 List of postoffices is displayed in single dropdown menu grouped by cities or in two dropdown menus where first dropdown displays list of cities and second one displays list of postoffices from selected city. Allows customer to pay for the parcel at the moment of receiving the package. 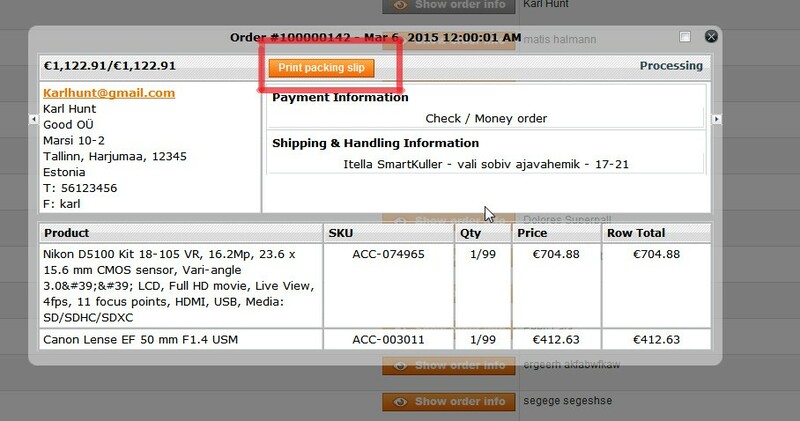 Merchant can assign shipping surcharge depending on destination country when this service is used. 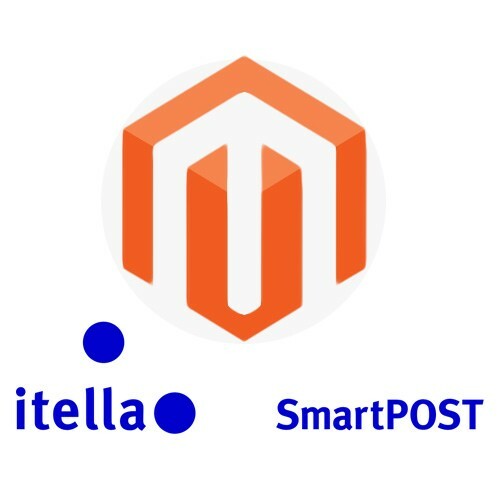 Sends parcel data automatically to Itella server at the moment when order is marked as paid or manually by clicking the "send shipping data to server" at Magento order view. Displays list of parcel terminals or postoffices with descriptions (address and opening times or any other extra information) or without. Availability of each shipping method can be restricted by maximum product weight or by inclusion of special html code in product description. On the average 1 out of 300 similar modules require substantial amount of programming to make this module work in Magento store due to conflicts with other modules. Module installation is easy taking only couple of minutes to install. Module does not require a contract with Itella although automatic data sending features and automatic sending of tracking codes do require forming a contract with Itella. Module supports only one parcel terminal size. If you require support for multiple parcel terminal sizes then please contact us and ask for a quote.